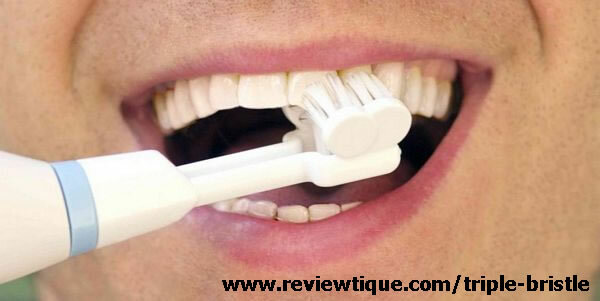 This is the most innovative and effective toothbrush ever! A practicing dentist said this. 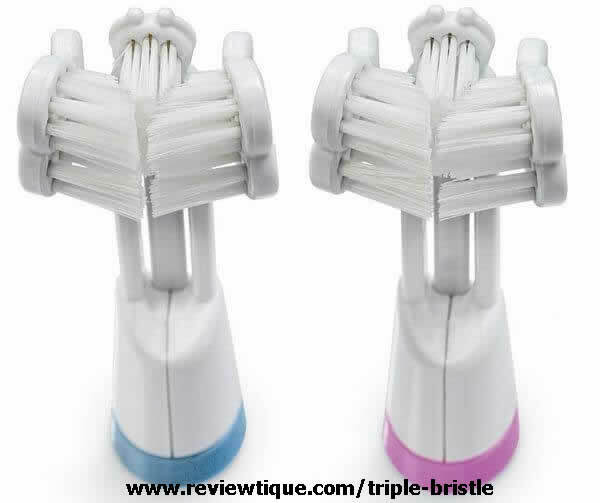 The Triple Bristle electric toothbrush makes brushing perfect ans super easy and gives people the best clean possible. 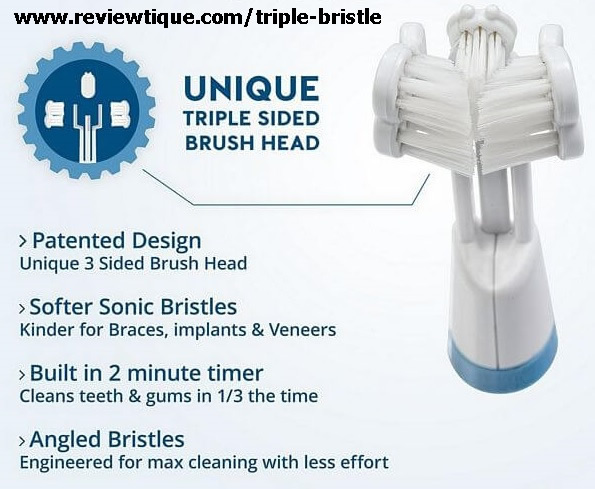 Triple brush heads are positioned at the ideal 45 degree angle that efficiently remove plaque near the gum line. 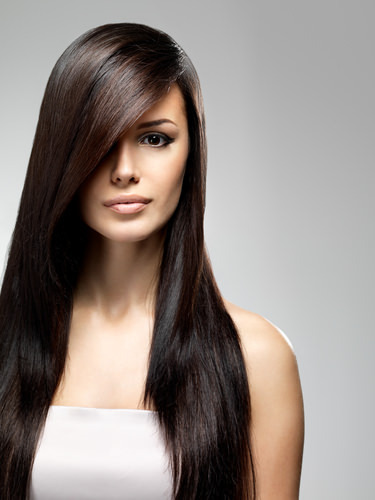 Bristles get in between teeth and massage the gum line for optimum health. The sonic vibrations create micro bubbles that clean teeth really great. All these facts are the reason why this toothbrush is routinely recommended by dentists. 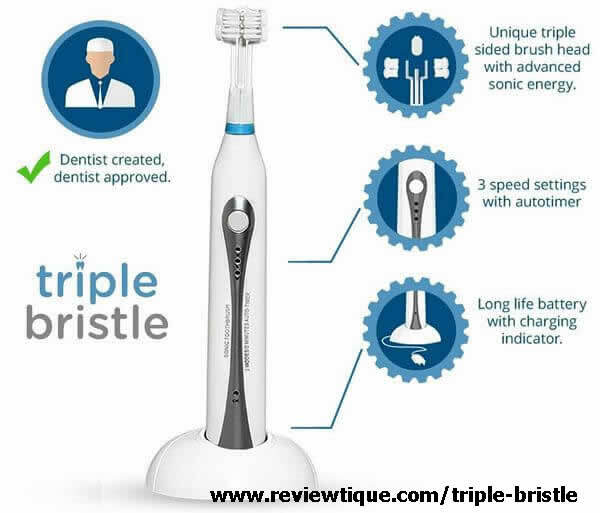 Many dentists are noticing a significant improvement in the overall oral health of people who are using the Triple Bristle electric toothbrush. If you are interested in the most thorough cleaning outside of a dentist’s office, you will get this toothbrush.